Work for Google Merchant Center (Google Shopping) - Prestashop Addon? Learning about Google Merchant Center (Google Shopping) - Prestashop Addon? "The best kind of product advertisement you could ever hope for!" Any person can use Google Merchant Center to upload any type of product and its data and thus, let millions of shoppers see your online and in-store inventory. You can edit it whenever you want, remove or add to it, so shoppers always see the right information in your ads. Whether you are advertising a store, restaurant, or simply selling off extra inventory, Google Merch Center reaches the most people in the cheapest way! Google has yet to implement a rating system for sellers which often disheartens buyers, who want to be able to first check that the seller is credible and reliable. I also dislike that you are unable to be 100% sure in what order your ad will appear, as in, if it is going to be on the first page, or in the top 20, etc. great software, extremely useful, low cost, and easy to learn to use for anyone. Help our website become known/found and clicked on by customers. When you have a lesser known website, outreach to potential shoppers and customers is crucial and Google Merchant Center retail solutions helps them find you and drive them back to your site or store. "One of the best platforms to create free and easy stores through the internet for free "
Google Merchant Center (Google Shopping) - Prestashop Addon is excellent, first of all it should be noted that it helped me receive a good amount of this information, I like that the installation is simple because a person without knowledge of the state can do it in an effective way , we must bear in mind that within its free version there are some things that are paid but that is a supplement that can be acquired over time is not essential for a single. "Easy to use shopping app"
The best part of this is the simple facts: it increased our ROI by 200% on a client's Google Shopping spending during a recent campaign where they wanted to push products through Google. Dislike the slight learning curve for the product. This addon solved a lack of quality ranking for our clients' products as they were being listed on the Google Shopping results. This service by google is great for having the best method for spreading the word of a product. Google is always filled with traffic, and if our product is there, the chance of getting a sale is increased greatly. One thing I dislike is the fact that there are so many competitors that we are kind of put down on the list sometimes. Business problems being solved are the problems of not getting sales and/or publicity. "Google Merchant Center works well"
It's a very easy to use software for selling products, and the company I worked for said it was the best one they'd used. I couldn't have imagined using anything else. I didn't have any personal complaints, but I had coworkers that complained about reliability occasionally. It makes it a lot easier to sell products and view/advertise inventory. It's easy to use and doesn't take long to implement. "functional but not super pretty"
Great module, fully configurable and full of features. Perfect to give Google what they want. * We monitor all Google Merchant Center (Google Shopping) - Prestashop Addon reviews to prevent fraudulent reviews and keep review quality high. We do not post reviews by company employees or direct competitors. Validated reviews require the user to submit a screenshot of the product containing their user ID, in order to verify a user is an actual user of the product. Hi there! 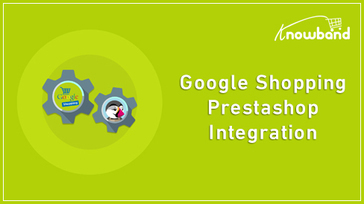 Are you looking to implement a solution like Google Merchant Center (Google Shopping) - Prestashop Addon?